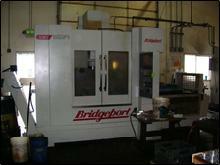 Acro Machining has the experience and capabilities to work with all metals and plastics. In addition to machining, our facility is also equipped with grinding, honing, splining, and broaching equipment. Acro is equipped to make sure that we can adequately meet the changing request of our customers. Daily deliveries are made to all areas in the Puget Sound. Our sales representatives are able to provide your business with answers to any questions or concerns you may have with Acro�s performance and production. Our sales representatives are also able to provide you with a prompt, precise quote and are able to discuss pricing and delivery. Heading North on I-5, take exit 206, (Smokey Point Exit), and keep to the right. Go to the stop light and take a right, going South, on Smokey Point Blvd. Proceed down Smokey Point Blvd approx 1.5 miles and take a left on 152nd St NE. 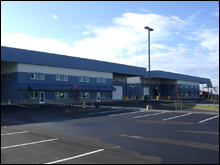 Take the first left onto 39Th Ave NE- the facilities are on the right and are blue and white twin buildings at 15303 and 15307 39th Ave NE Marysville. You can also call us at (360)653-1492. Or, simply fill out the driving directions form on the contact us page.